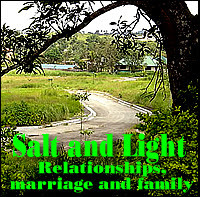 Notes: (1) Please read my post “Plain English, Plain Language or Plain Writing for government offices and private companies in the Philippines.” (2) I conduct seminars for government offices or private companies that want to train their staff in Plain English. 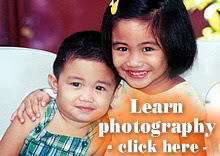 Please email me at gtgalacio@yahoo.com or text 0927-798-3138 for details. (3) For interactive grammar exercises, please visit my “Better English resources and exercises” website; I also have interactive quizzes on Plain English / Plain Language. (4) If the tables do not look right, try using Mozilla Firefox or Google Chrome. (5) These revisions are my own and are used only to illustrate Plain English principles. If there are conflicts between my revisions and the official PVAO guidelines on educational benefits, you must follow the official guidelines. Plain English revisions: using pronouns “I” for the user in the question heading and “you” to directly address the reader; an If/Then table; legalese like “heretofore” is replaced by the simpler word “previously”; and other revisions in the text. How can I avail of the benefits? (4) Veterans of the Philippine Civic Action Group or Philippine contingent in Vietnam (PHILCAG) during the period from August 31, 1964 to December 1969. (b) or a direct descendant of the deceased veteran, and the surviving spouse of the veteran or your legal guardian applies for the benefit in your favor. Note: Only one descendant can avail of the benefits. 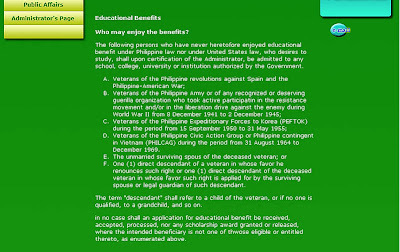 you have not previously enjoyed educational benefits under the laws of the Philippines or the United States, upon certification of the Administrator, you may be admitted to any school, college, university or institution authorized by the Government.